Never wear an ugly medical bracelet again! It is never too late to jump into action and become your healthiest you. This year National Women's Health Week wants to help you take charge of your health. Take the first step and join the National Women's Health Week celebration and learn what you can do to lead a healthier life at any age. 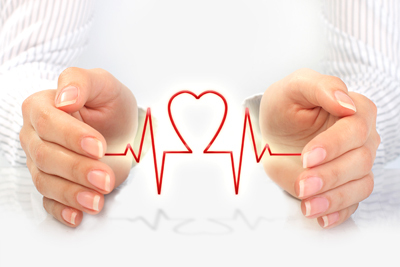 Visit a doctor or nurse for a well --woman visit checkup and preventive screening. Get enough rest and manage your stress. Wear a Medical ID. Order a medical alert bracelet or necklace to ensure that vital medical information is conveyed in the event of an emergency. Be sure to include your name and whether your allergic to or taking certain medications. We always recommend an I.C.E. In Case of Emergency contact number in case you are unable to speak for yourself. All Creative Medical ID engraving is FREE. 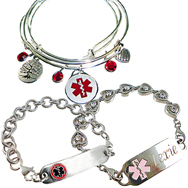 Shop Creative Medical ID Womens medical id jewelry to keep her safe. For specific health information please consult your doctor. Tremors. Tremors in your chin, fingers, thumb are common. Smaller handwriting. Do you write smaller than you used to. Trouble walking, pain in hips, shoulders. Dizziness or fainting upon standing up. Ask for a referral to a neurologist, a doctor who specializes in brain diseases. Begin a regular exercise program to stave off progression. Parkinsons Disease is a neurodegenerative disorder of the brain and can be difficult to diagnose and is incurable. 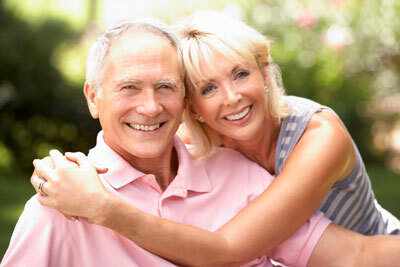 Prescription medications and good nutrition can help you have better function in your daily life. Many of the symptoms above are quite normal, and may not be symptoms of Parkinsons Disease. Please consult with your physician for further testing and recommendations. Doctors recommend wearing medical alert identification jewelry if you have Parkinsons Disease or any neurodegenerative (brain) disorder. 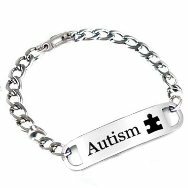 Check out our Mens and Womens medical bracelets, dog tags and more for your PD medical id jewelry. 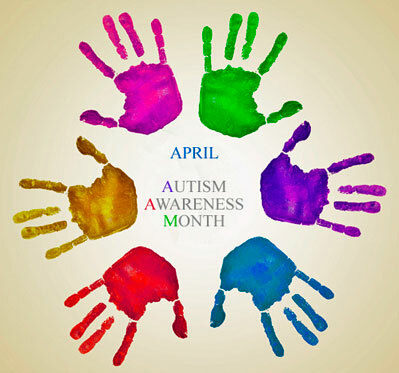 Autism is a developmental disorder, one of the largest and growing in the USA. If you know someone who has Autism, you know the difficulties they face. Do you know someone who has an unattractive medical id alert bracelet? Creative Medical ID has the solution to keep you safe and in style. Be confident wearing our beaded and stainless steel bracelets. We always engrave your vital medical history Free. Who should wear medical identification? It may surprise you to learn hat even pregnant women may need to wear a medical id bracelet.Having a baby is an amazing and beautiful experience, however not all expectant Mom's encounter smooth sailing. Some may develop Gestational Diabetes or Toxemia, two possible complications of pregnancy. In the event one cannot not speak for themselves, it is always best to be wearing some form of medical identification to alert medical professionals. Or take the situation of the Type 2 Diabetic who is Not on Insulin. Well...did you know they can also have Hypoglycemic reactions. In the event of low blood sugar, it is imperative to give the patient quick sugar, such as orange juice, then call for help. Any of the muscles that are under our voluntary control (skeletal muscles) can cramp. Cramps of the extremities, especially the legs and feet, and most particularly the calf (the classic "charley horse"), are very common. Involuntary muscles of the various organs (uterus, blood vessel wall, bowels, bile and urine passages, bronchial tree, etc.) are also subject to cramps. Cramps of the involuntary muscles will not be further considered in this review. This article focuses on cramps of skeletal muscle. There are many reasons for muscle cramps. Seek medical treatment if your cramps are often and persistent. 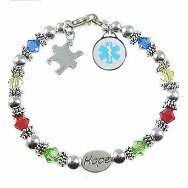 Children are not exempt from having medical conditions, so it is important for those kids who do have medical problems to wear a child medical alert bracelet. Parents can't always be there in the event of a medical emergency and with kids at school all day, it's integral for peace of mind if they invest in a child medical alert bracelet. These bracelets are an easy way for medical and school personnel to retrieve important medical information when your child cannot relay it. They help avoid allergic reactions and other medical issues, for example. Kids can be choosy, but with the many sellers online and offline, parents can easily help their children select a stylish piece of jewelry. It may be good to let children help select a child medical alert bracelet to ensure that he or she likes it enough to keep it on when you're not around -- when it's needed most. Beads are a popular choice for girls and boys. Girls will like sparkling beads, while boys may go for something more plain. Plates with the medical symbol on them come in everything from stainless steel to silver and gold. 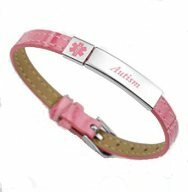 Designer bracelets are growing in popularity for many adults, and many medical alert bracelet companies now make bracelets specifically for children. Teens are a sensitive group, as many of them care about their appearance and the opinions of their peers. Ankle bracelets with a dangling charm or a small engraved plate are very acceptable jewelry accessories for teen girls. The beaded bracelets are also fun, decorative and fashionable and will complement any style rather than compete. Boys can discretely wear medical alert jewelry by wearing a sports wristband band or handsome watchband. These pieces can be as simple or elegant as the wearer wants and many manufacturers produce medical jewelry with a keen eye on fashion and style trends. Parents can regain peace knowing that their child's medical information can easily be relayed to the paramedics or a school official in the event of an emergency. Children especially should have the proper medical information on them at all times, as many of them may have a drug allergy, asthma allergy, diabetes , or bee sting allergy. The University of Sydney in Australia did a study in late 2014 about social media sites being the perfect place to sway teens and younger adults to eat junk food as they are often logged in during their free time. Nutritionists, healthcare experts and parents have expressed discontent with this type of marketing and the World Health Organization wants more interventions regarding marketing foods high in sugar, salt and trans fats to adolescents and young adults, in the hopes they will develop better eating habits for years to come. Twenty-Seven food and beverage companies were analyzed to include Coca-Cola, Slurpee and Subway, using marketing strategy and how these companies subliminally attracted these younger audiences. By using the interactive and social aspects of Facebook to market products, energy-dense and nutrient-poor food brands capitalize on users social networks and magnify the reach and personal relevance of their marketing messages, wrote the team, led by In terms of health policy, much of the current work to limit exposure to advertising is focused on restricting advertisements during childrens television programs and viewing hours. Our study shows that this narrow focus is likely to miss large amounts of online advertising aimed at adolescents.